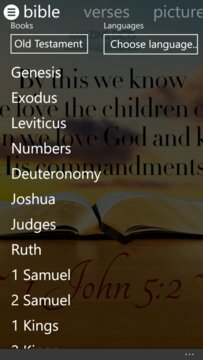 - Switch between of 57 languages of Bible, include Bible, Verses, Audios. - Delivers a new verse of the day from 11 languages. The package also includes thoughts, prayer and daily devotional on that specific verse. 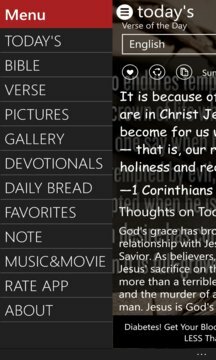 - Scripture Pictures, update daily, choose picture, download, set as app background and set as lock screen, shareable. - Create note. Easy create your note, your opinion. Read, study, and share with friends. Grow together every day with friends, sharing your discoveries.